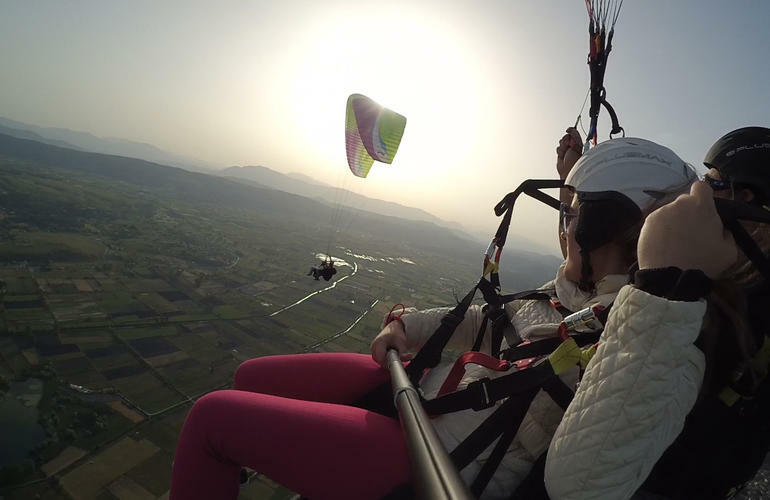 If you were always dreaming of flying then this is the right time to live the ultimate experience with a tandem paragliding flight, and make your dream come true! 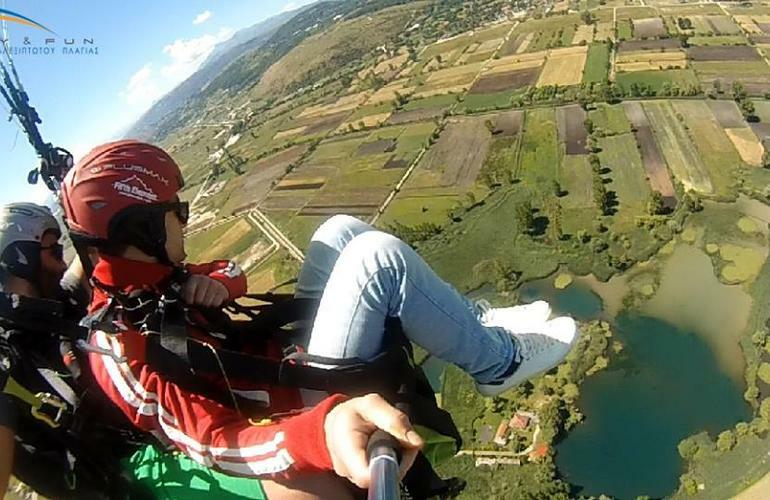 You will be flying as a passenger with an experienced pilot and you will enjoy the lake of Ioannina from high above. 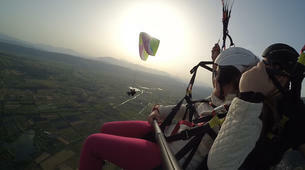 You do not need to jump from anywhere, the wing will be fully inflated and you will be flying as you will the ground! If you are able to make a few quick steps, then you can certainly fly. It's totally safe and definitely fun! 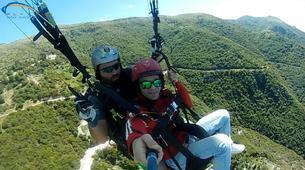 Paragliding is possible for everyone who can run and weights up to 110 kg. Where will you be flying? 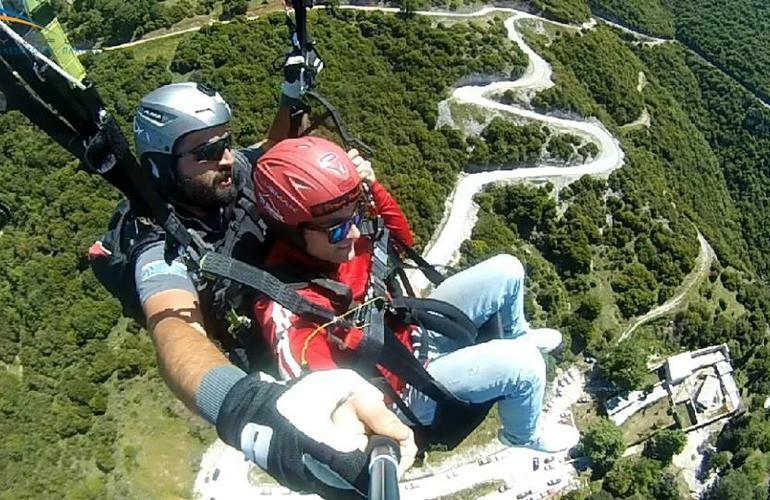 The tandem flights take place over Ioannina city or a nearby valley. There are different places to fly, chosen on the weather conditions. It is approx. 5 hours driving distance from Athens and 4 hours from Thessaloniki. The equipment you will be using is daily checked to ensure your safety. Find in the options below the different spots to fly. 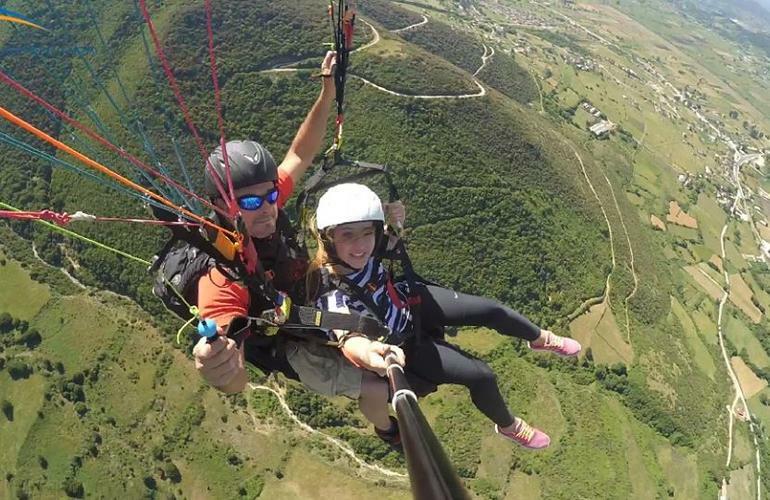 With whom will you be flying? Fly and Fun have experienced and certified tandem pilots. 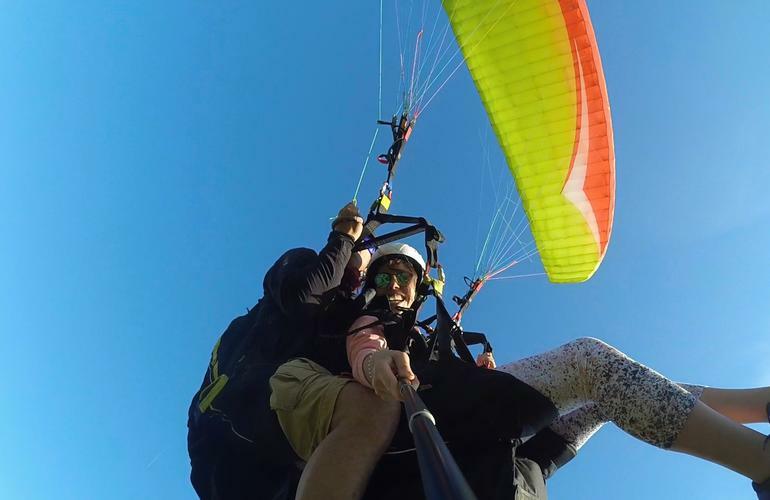 Stavros, the founder of Fly and Fun looks forward to welcoming you in his paragliding centre and showing you Greece from high above. The only thing you need to bring with you is a pair of boots, a warm jacket and to be at the predefined point on time. Your pilot will let you know before the flight from which point you will be flying. Fancy seeing the scenic town of Ioannina from another perspective? The little islet in the middle of the lake Pamvotida, the dinkies, the castle and the town as a whole will steal your heart when seen from above. A picture is a thousand words. A dream comes true when you are flying. Take off takes place from the village of Ligiades which is just a few minutes away from the city of Ioannina. Ligiades is also situated on the Mitsikeli mountain which heights over the town of Ioannina. Indulge yourself into a flight full of sights and smells from the city and the natural surroundings. A juxtaposition of the city and the mountain. The flights lasts 30-40 minutes depending on the weather. The whole activity lasts approximately 2 hours. 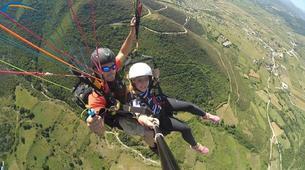 Live the unique experience of flying over Dikorfo, a mountain village in Zagorochoria of Epirus. Let yourself fly in in the midst of a natural environment within the abundance of the forest. An essential winter destination, at first glance an unthinkable place to be until you really see it from above. Breathtaking images that will never be forgotten. The flights lasts 30-45 minutes depending on the weather. The whole activity lasts approximately 1 hour. 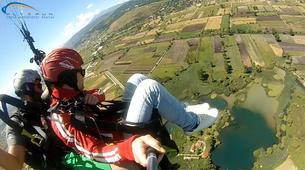 With the tandem flight you will explore how it feels to fly over the champaign of Ioannina. You will fix an appointment to meet with your instructor around the landing point so you can get picked up with his car and arrive on the top, where you will fly from. 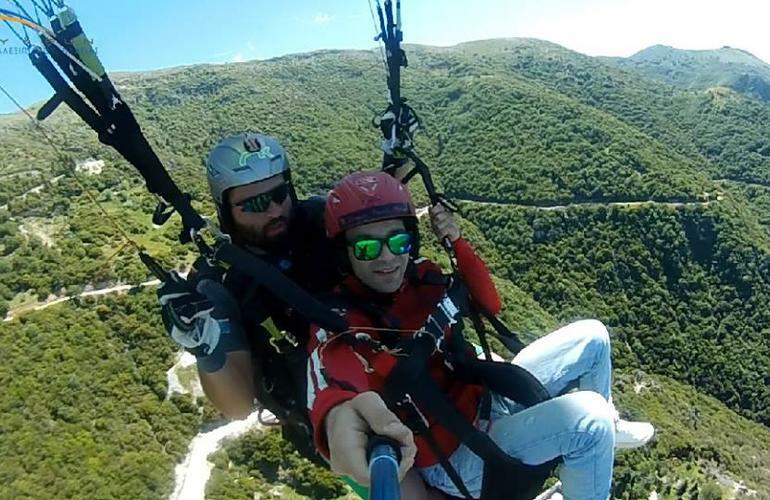 You will be flying over the champaign of Ioannina from the village of Aspraggeloi, having views to the picturesque village of Zagori and the national park of Pindos. The take off point is on the top hill of Aspraggeloi village. 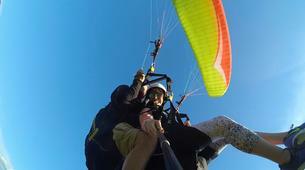 Wonderful experience with a great tandem pilot. Need more info or expert advice? * You can ask infos about any activity. What is your sport level for this activity? Your message has been successfully sent. We will get back to you as soon as possible in the next few hours.